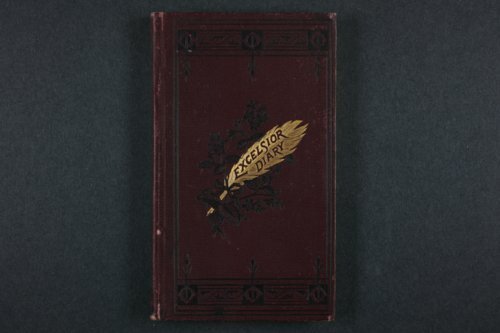 Diary belonging to Isaac Goodnow, a free-state supporter and the founder of Bluemont College (predecessor to Kansas State University) in Manhattan, Kansas Territory. Although many of the entries are somewhat mundane, dealing with weather, illness, neighbors, etc., others describe political and military activities in Kansas, as well as the land speculation. Goodnow's diary makes mention of the details of his daily life and community activities, such as home maintenance and crop harvests.